I love nothing more than Spring. The change in the weather, the flowers are about to bloom and fashion trends are at their high with pastels colours! A good coat is hard to come by. A lot of factors spring into mind when I am making the decision to buy a coat. Will it be practical, will I wear this next year, is it warm but yet light enough to wear all day. The list goes on and on. I picked up this beauty of a coat a few weeks ago in Dunnes Stores in Galway. I love shopping in Dunnes. Their quality is superb and not everyone thinks to go in there. I love shopping in Penneys but I do hate when I see everyone wearing the same thing, it puts me off. Fashion is all about putting your own twist on an item of clothing. I enjoying finding inspiration from other fashion bloggers but I like to put my own style on everything I wear. I am very girly and this reflects on my fashion choices. So now onto where to buy this look. 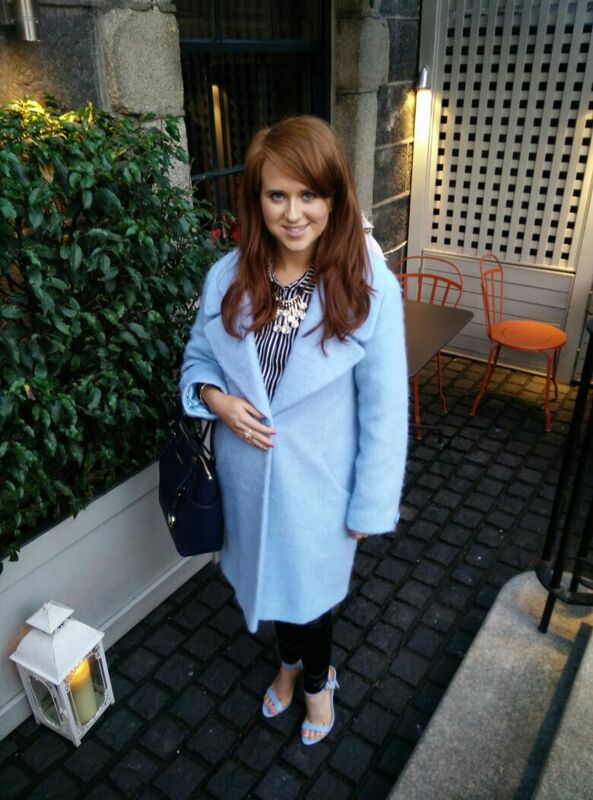 I got my coat in Dunnes Stores for €80 and it is still available to buy! Click here to buy online! You can get a similar coat from boohoo.com for €54 here which looks lighted than my coat. My matching shoes are from New Look and so super comfy! I bought my shoes for €30 but they have a similar pair here for €45. MISSGUIDED have a similar pair that are on sale for €16.80!! A steal & you can buy them here. I normally never wear strips as I feel they can make me look bigger but I just love the feel of this blouse I got from Warehouse. It is just so comfy and the stripes are arranged in different ways so that it doesn’t make you appear bigger. You can also buy this blouse online here for €36. Posted in Create the look, FashionTagged Boohoo, boohoo.com, Dunnes Stores, Fashion, MissGuided, New Look, Spring Fashion, SS15, WareHouseBookmark the permalink.